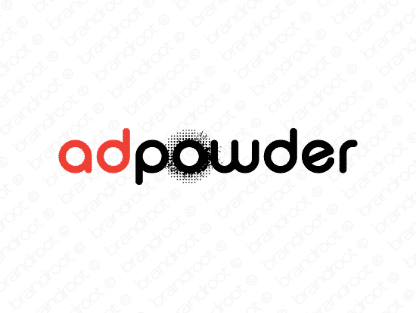 Brand adpowder is for sale on Brandroot.com! An evocative combo of "add" and "powder" that's dynamic and creative. Adpowder is a great fit for a broad variety of marketing oriented businesses and services, well-suited for advertising companies, SEO specialists or clever design studios. You will have full ownership and rights to Adpowder.com. One of our professional Brandroot representatives will contact you and walk you through the entire transfer process.